Talking Walking Dead: Happy Halloween to all Walking Dead fans! Happy Halloween to all Walking Dead fans! 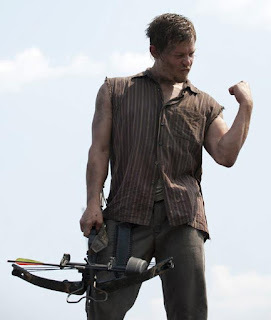 Daryl loves Halloween, means more zombies to kill! So what did you get up to this Halloween, and what did you dress up as? Me n my Girlfriend went to a Friends house party at the weekend,I dressed as Jason Voorhees and she dressed as Lizzie Borden. Then tonight we have watched Poltergeist and Sleepy Hollow,and we had given out all our sweets to guysers by 8.30pm,lol.